galstudio: Code Name: CURTAINS! Bon Voyage! Code Name: CURTAINS! Bon Voyage! 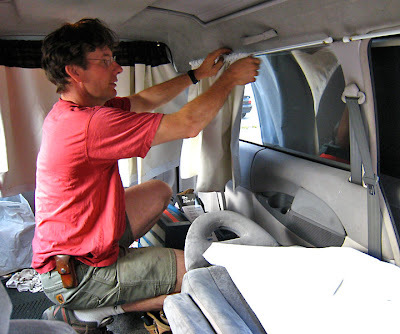 My old friend Jim, from art school, asked me to help him with his curtains for his Mitsubishi Delica van. Now, I know how to make custom curtains. 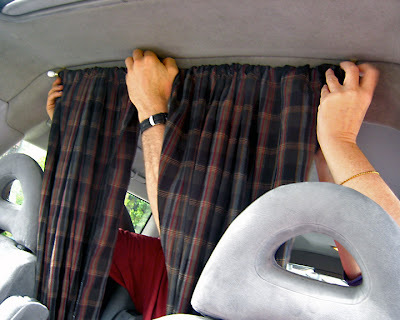 As a matter of fact, I made our curtains for our 1972 VW Van that I had with my partner Richard at art school back in the nineties. The sewing part was easy the hard part was for Jim to figure out the way to hang to curtains. His van was not camperize. So he did it from scratch making his passenger van into a camper. Jim and Jen went to a fabric supplier and they suggested a plastic light blocker that is efficient but not pretty. It's used as a liner to be hung with another fabric as a curtain. Jim says, 'This is a temporary rod system." 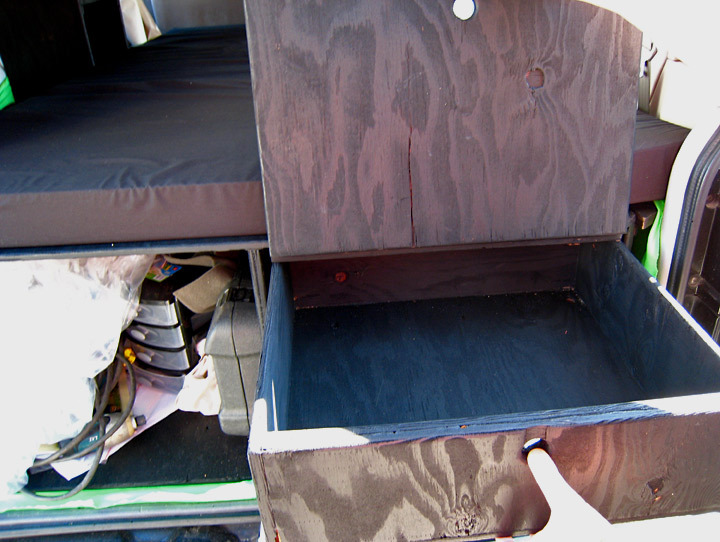 They were a little tight in their deadline and measurements. So, I suggested a plaid fabric that I could donate to their cause. The project code name: CURTAINS! was suppose to be cost as little as possible and be very quick to make and install. Jim was over for an afternoon and while he was on the rod system, I was back and forth measuring then installing. It was challenging. I was working with pre-cut fabric. The vans' windows were all different sizes. We just had to make it fit. Considering the time we had, it looks pretty good and will work fine. I'm happy. Jim and Jen are on their way across Canada then into part of the US, a month of well-deserved vacation. Jim assured me that when they return he may want something more permanent... ie less plastic! 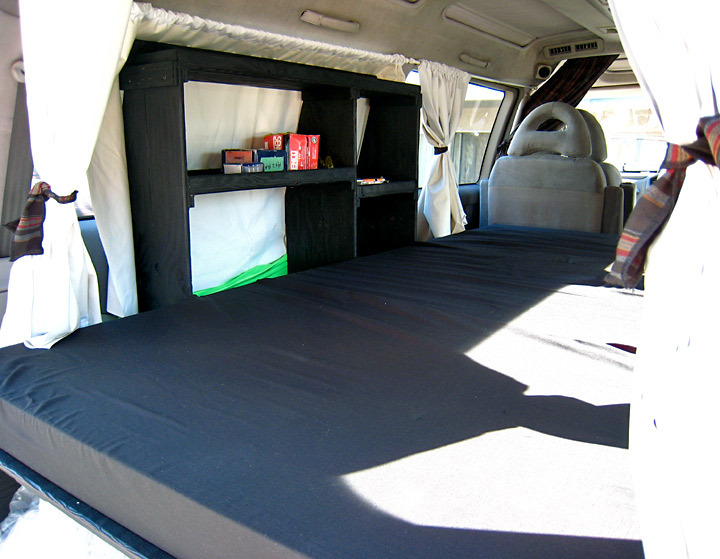 the open bed and side shelving! What is he going to put here?